I am always looking for an excuse to eat guacamole so I often make tacos for dinner. 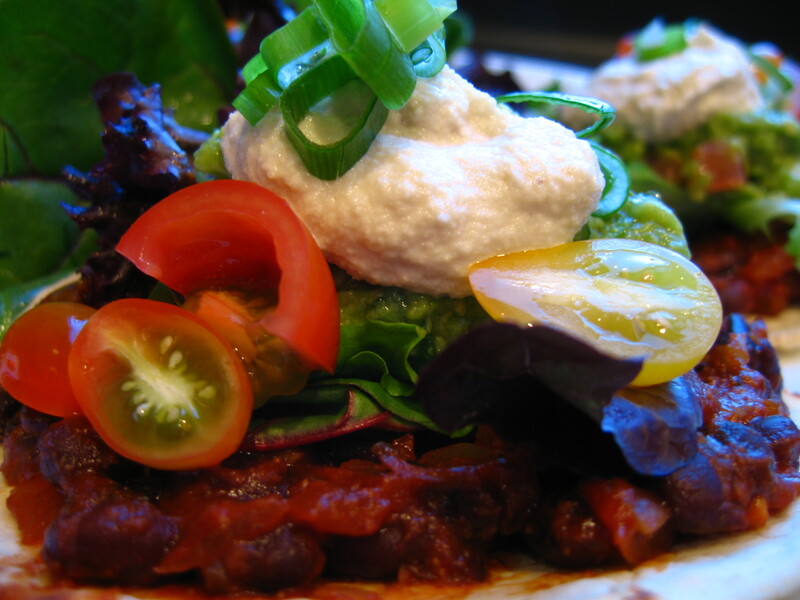 Here are the recipes for black bean filling and raw cashew sour cream that I like to make on taco night. To make them even more delicious, enjoy with fresh corn tortillas! Heat canola oil in large skillet over medium heat. Saute onions and garlic until soft. Combine all ingredients in a food proccessor. Process until smooth.